Submit a photo of you and your special someone to be uploaded to our Facebook page! 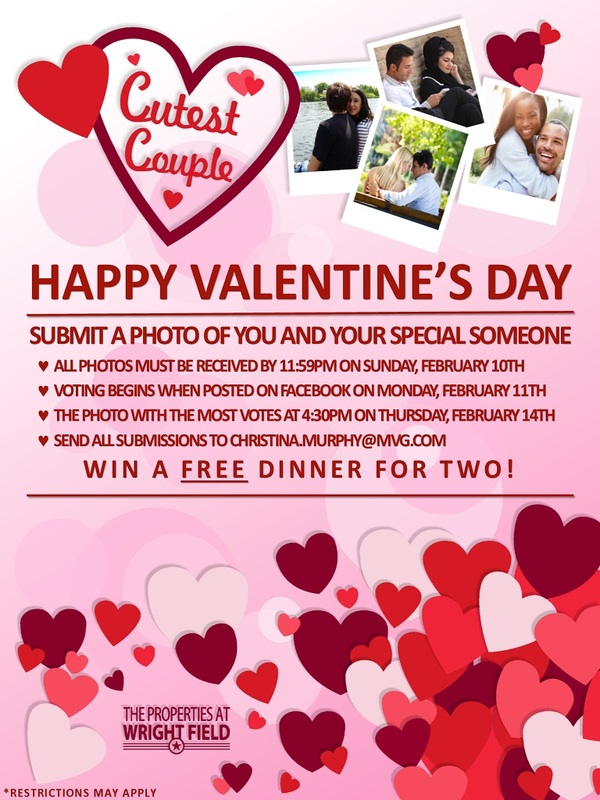 The couple with the most "likes" will win FREE dinner for two! All submissions should be sent by Sunday, February 10th to Christina.Murphy@mvg.com.